Fax receive ring delay limited to 4 times! Again the ladies were less than thrilled having to sprint from the other room to reach the phone in time to prevent the fax from taking the call. Since fax and phone had to be connected to a an All-In-One router/telephone system rather than an external phone jack there was no way to switch the fax to one of it’s other modes. Still, why not allow a higher ring delay in the first place? 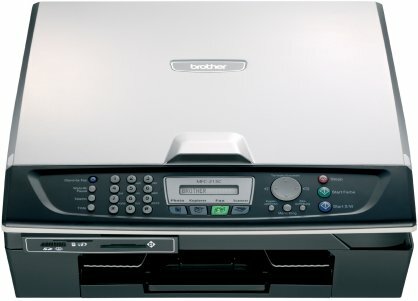 I was irritated enough to call the expensive Brother support which instructed me by fax (go figure) on a lengthy procedure to unlock the device’s hidden maintenance mode to increase the ring delay to 10 times max. I didn’t get any satisfactory answer though as to why these options weren’t available by default. So much for Brother Solutions! This entry was posted in Consumer electronics and tagged Add new tag, Brother fax, limited ring delay, maintenance mode, stupid defaults on June 13, 2008 by Marvin.